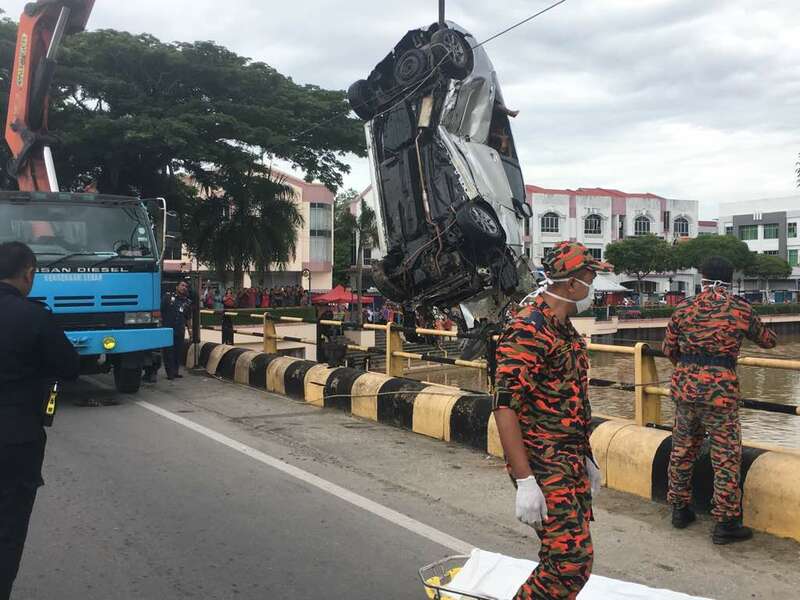 SIBU: The body of a man was found inside a car that was believed to have plunged into Sungai Merah here at around 10am today. The man was identified as Ting Kwong Lim, 25. His mother had lodged a police report on June 27 after he failed to return home. The car was earlier pulled out from the river by Fire and Rescue Department (Bomba). Public members notified Bomba after they saw a car sinking in the river. People at the scene said a woman had reportedly lodged a report about a missing person few days ago. Details of what actually happened are still sketchy as at press time.